I love today´s verses! We´ve seen in our previous weeks in Hosea that the people of Israel had committed multiple sins without repenting. 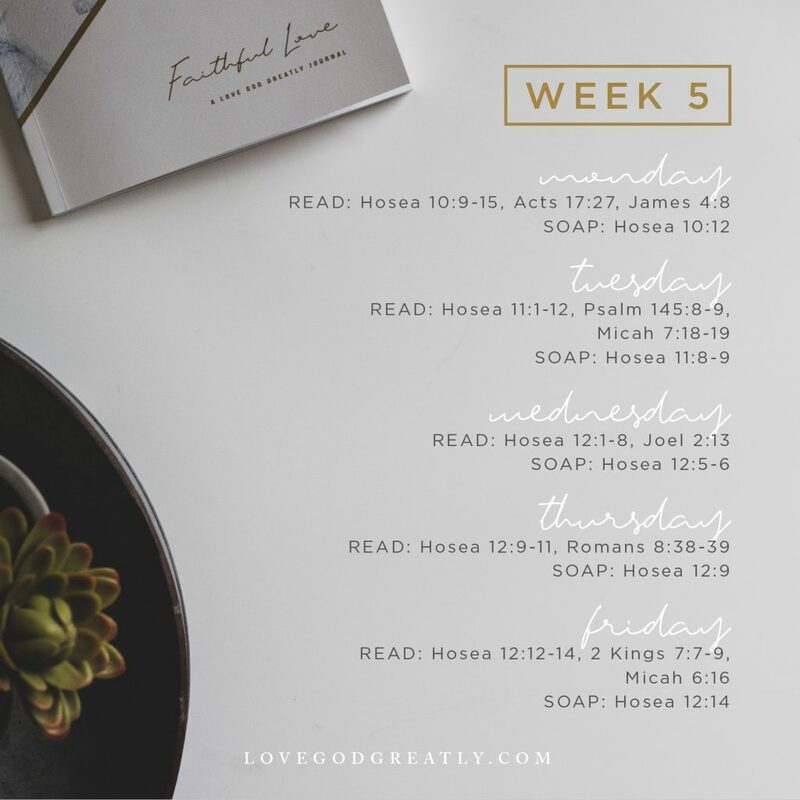 But God is so loving, so forgiving and good to us, that even then, He gives them a choice: sow for yourselves righteousness and reap steadfast love. In order to do this, they had to “break up their fallow ground”. What does it mean? The fallow ground is the hard ground that will not allow the seed of the Word of God to bear fruit in the people´s hearts, it´s a ground that is not useful, impossible to sow if not broken first. But today´s verses show us that there´s always hope. God will draw near to you if you draw near to Him and purify your heart with the confession of your sins (James 4:8); God is not far from each one of us. He is close to you. Are you close to Him? 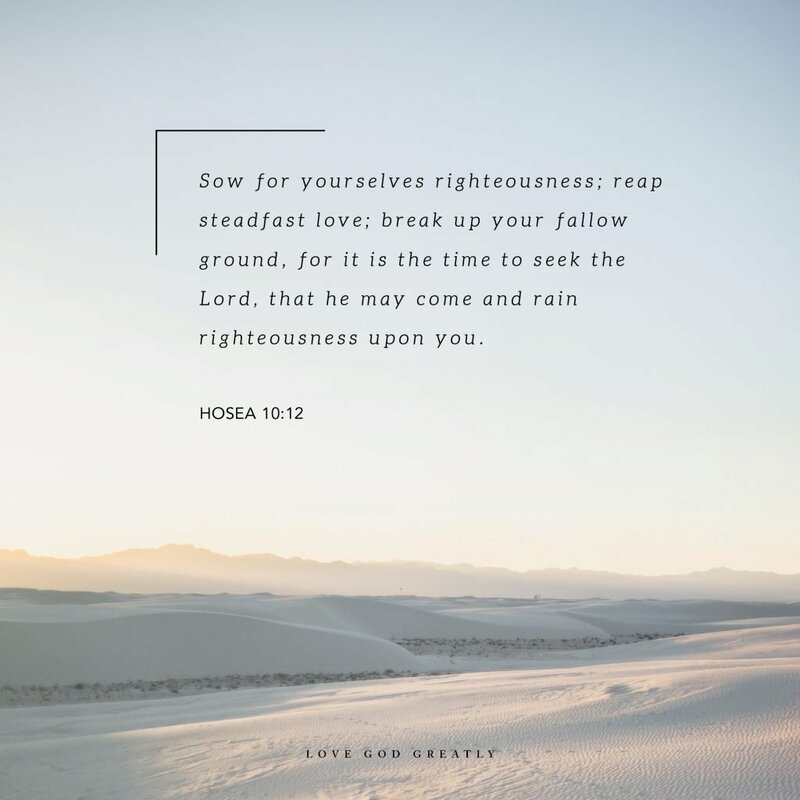 Is your heart hardened by your “fallow ground”? What “crop” will grow up from the seeds planted today, or this past week, or this past month? 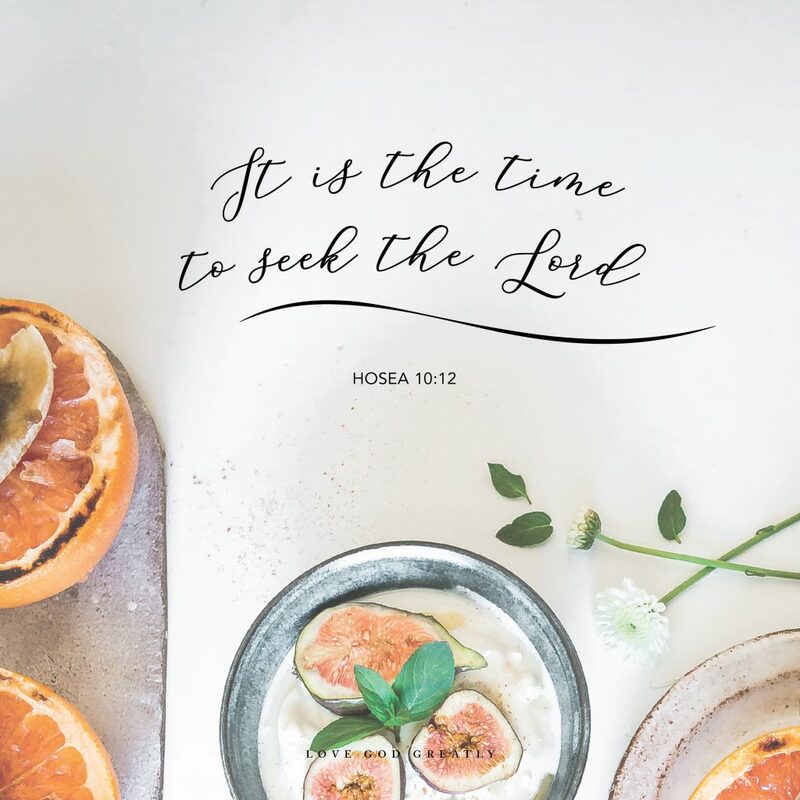 The time to seek the Lord and reap steadfast love is now. God is always by your side. Oh, Father, the fact that, despite my sin, despite my double heart, You have never left me, blows my mind. You are close to me! I need to feel You embrace me today and lead me to a life where I sow righteousness and reap mercy. Amen. Week 5 Challenge: In your quiet time this week, set a timer for 20 minutes and just sit, quietly, before the Lord. Ask Him to reveal any places that your heart might be hardened and the unhealthy “crop” that may have been planted. Journal some small ways you can reap love and mercy instead, thanking God for always being near.